Oil on canvas. 192 X 157 cm. Inv. No 2766 The subject is taken from Livy's work Ab urbe con-dita (III : 47 ff.). 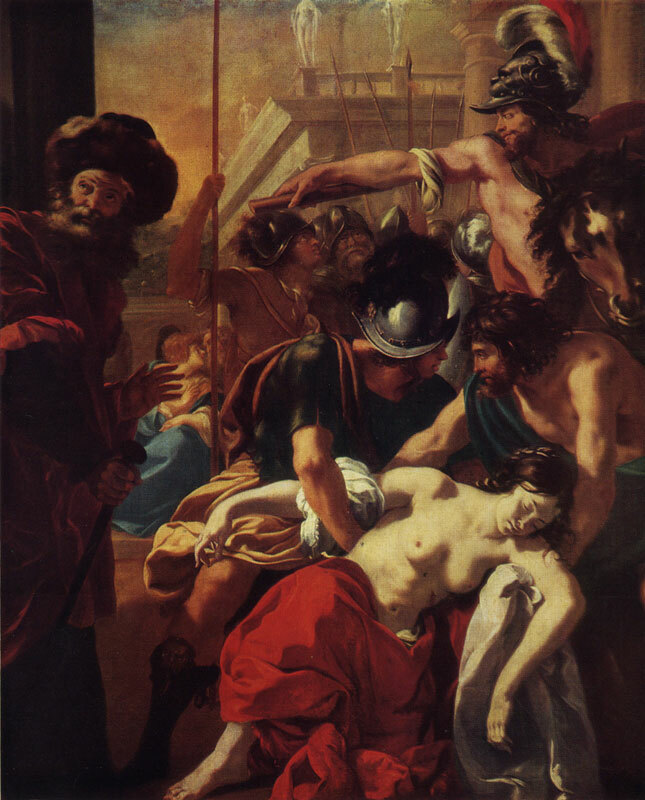 In the Hermitage catalogues the picture was listed as The Death of Lucretia. At present the traditional attribution of the picture to Vouet is considered doubtful. According to Ch. Sterling's presumption it belongs to an artist of the J. Blanchard circle. J. P. Saint-Marie ascribes it to Jacques de Lestin.